Scheduled for April 7th meeting of the heads of diplomatic missions of Russia, Azerbaijan and Iran in Baku may well open a new page in the development of the South Caucasus. And while the focus is on the agenda of economic issues, the ministers of foreign affairs appears a great opportunity to openly discuss accumulated in bilateral and trilateral relations and issues of regional problems. They are, unfortunately, quite enough from the "frozen" conflict in Nagorno-Karabakh, which, as recent events have shown, can at any moment turn into a full-scale hostilities, to increasing, and at the same time - warmed up from the outside, the competition between the three countries in the markets energy. But there are also questions on the Caspian Sea, which for two decades, can not put a legal point. However, the problems in economic matters, no less, and the heads of diplomatic agencies to discuss a wide range of topics. "The main topics of discussion at the meeting will be questions of trilateral regional cooperation, in particular, the development of transport corridor" North-South "and the other promising projects", - said the press secretary of the agenda of the upcoming meeting of Azerbaijani Foreign Minister Hikmet Hajiyev. In addition, "will discuss the overall situation in the region, the South Caucasus, possible joint efforts to stabilize the region", - added his colleague Director of the Second Asian Department of the Russian Foreign Ministry Zamir Kabul. Part of the backlog in the "Moscow-Tehran-Baku" triangle problems are the result of the changes in the international and global economic arenas that occurred just in the last two years. "Vienna Agreement" challenged the Iran more active participation in regional affairs, including - through the development of an active business cooperation with Baku. Azerbaijan was one of the parties, which carried significant costs due to the sanctions imposed on Tehran. Indicators of trade between the two countries in January-November, 2015 - $ 110 million, of which $ 80 million is Iranian imports - is frankly ridiculous figure for the economic and trade potential of Iranian-Azerbaijani cooperation, the number of which to say something not very well . About Iran-Russia trade turnover Iran.ru repeatedly informed its readers, there are also indicators do not correspond to the potential. But everything else since 2013 there has been a downward trend in bilateral trade with Azerbaijan. If at the end of 2013 the trade turnover amounted to 2,583 million dollars, by the end of 2015 it barely lasted up to 1 855 million (despite the fact that up to $ 3 960 million in 2014). These "jumps" are not explained solely by the crisis - before us a system failure of bilateral economic relations, which needs to be rectified. Because it is not just about the "beautiful" figures reporting.It is - and it must be clearly understood - the preservation of Russia the possibility to influence the situation in the South Caucasus through economic levers. Exaggeration? Not at all. During the 2014-2015 year, the situation has indeed changed over seriously. Iran executed economic interests in the region, which previously blocked the sanctions regime. Changed the political and economic "weight" of Azerbaijan, which is considered the European Union and Turkey as a partner in the diversification of Russian energy supplies. And finally, quietly, and the declarations in the South Caucasus under the leadership of Ankara and benevolent Chinese attention there is a creation of the integration of the space of the Azerbaijan-Georgia-Turkey as part of the Trans-Caspian corridor - one of the links created by the Beijing Economic Space of the New Silk Road from Xinjiang to Turkey - and further to Europe. What will be the role of Moscow in the Trans-Caspian corridor, an observer from the curb or a partner? As mate interests with Iran emerging in the South Caucasus integration space? What is the common interest of Azerbaijan, Iran and Russia in this scheme and where cooperation limits beyond which begins the competition? These questions are not included in the agenda scheduled for April 7th meeting of the Foreign Ministers of the three states, but there is no doubt that these and other questions will be invisibly influence the course of negotiations and agreements produced. Positive expectations from the forthcoming meeting reinforced by the fact that Moscow, Baku and Tehran have formed a portfolio of major economic projects that will have a significant impact on the development of the region and, in the long term, will make it not a zone of conflict and cooperation area, and, place on this the territory will suffice all. First of all, it concerns the transport component. Moscow plans to take an active part in the reconstruction of railways of Iran, highlighting the target under this loan. 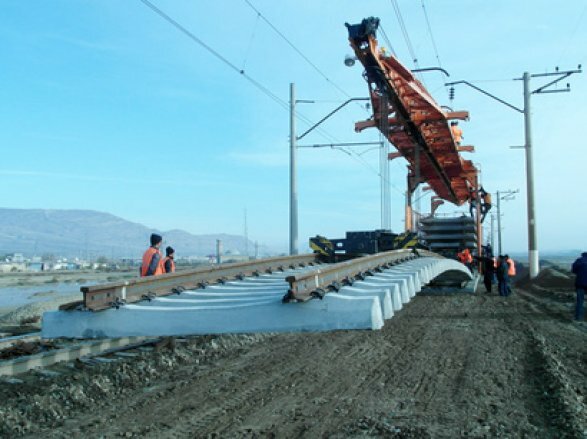 The completion of the railway line Astara-Rasht-Qazvin, including the bridge over the border river Astara, which has already agreed to Baku and Tehran, will make the international transport corridor "North-South" a reality, the more that the other component of the ITC - motorway via Azerbaijan - has already entered operational and in February this year on it began trial shipments of Iranian tomato in Russia. It should be noted that according to the signed during the visit of Azerbaijani President to Tehran agreements on Iranian territory will be built terminal gauge and broad road that will simplify the process of transportation of cargoes coming from Iran via Azerbaijan. Given the fact that the annual capacity of the transit of goods from Iran to Russia via Azerbaijan is about 10 million tons (of the total number of roaming the corridor "North-South" 25 million tonnes) - are all conditions to MTC Iran-Azerbaijan-Russia land looked the most attractive. The main macroeconomic agenda of trilateral cooperation is energy: the construction of new hydroelectric power station in Nakhchivan autonomy, the implementation of the project "Greater energy bridge" - the transit of electricity from Russia to Iran through Azerbaijan's territory, gas swaps between Baku and Tehran with involvement opportunities "Gazprom". 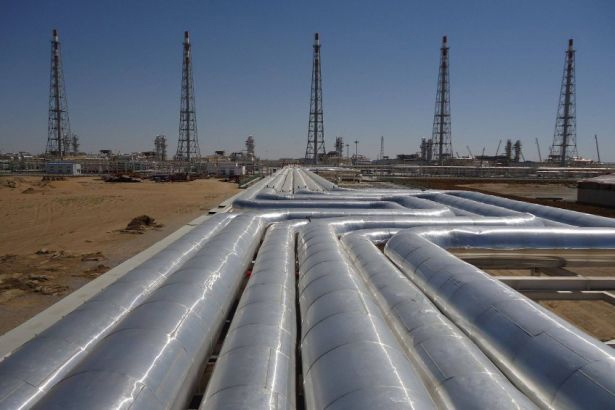 It is necessary to take into account the prospects of investment in the Iranian oil and gas fields, and not only on their modernization, but also on the creation of an infrastructure for the delivery, support and, ideally, in the processing of the extracted raw materials. And to outline some progress on delimitation of the Caspian Sea. Thus, Baku officially announced the decommissioning works at the disputed site condensate field-Araz-Sharg Alov. 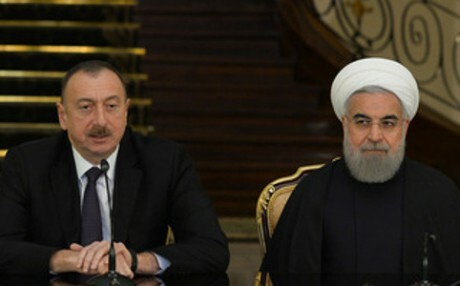 Thus, it removed some of the tension in connection with the irregular status of the Caspian Sea and the problem of delimitation in the disputed sectors. There is also a number of promising areas of cooperation, but also what is already listed - more than enough to create a solid foundation of economic relations and, as a consequence, increase the stability of Russia and Iran in a new spiral of competitive struggle for influence in the region. The fact that the competition for influence in the South Caucasus in the near future will be exacerbated, no doubt. And it is not in some kind of "evil intent" of the USA, European Union, Turkey or anyone else, even though the idea of ​​"push" in the Moscow region is certainly present. The main reason - in serious geo-economic changes in the formation of new transit corridors, the diversification of energy supply sources earlier. Political and economic map and the South Caucasus and other regions gradually but inexorably changing. Both Moscow and Tehran and Baku today is extremely important to identify on this map of its allies, partners, competitors and adversaries, to identify areas of mutual antagonism, and forces the application sector. That is what is thought to be the main task of the heads of diplomatic missions of Russia, Iran and Azerbaijan during their trilateral meeting in Baku.